Please Note: We're currently transitioning our practice to Los Angeles, CA. So Dr. Gene is only available via Skype, email, & phone. Please note: We no longer offer Oxygen Therapy at our clinic... but we encourage all our patients to get one for home use if they are fighting cancer. But we left the information below for you to learn more. If you have any question about getting a home unit please contact us. 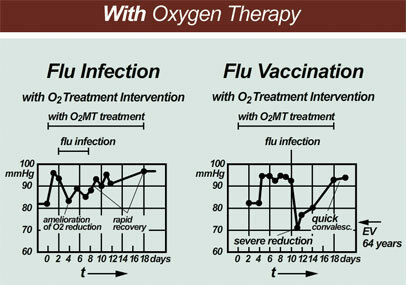 Oxygen Multistep Therapy was pioneered by German physician and scientist, Manfred von Ardenne, MD. It has been researched and utilized in clinics to help thousands of patients worldwide. Yet because of more recent studies, the benefits of oxygen therapies have been making their way back into the news. Whether you’re looking to increase your athletic performance, decrease your "biological age", or increase the effects of conventional cancer treatments, the metabolic benefits of O2MT can be a very powerful treatment. 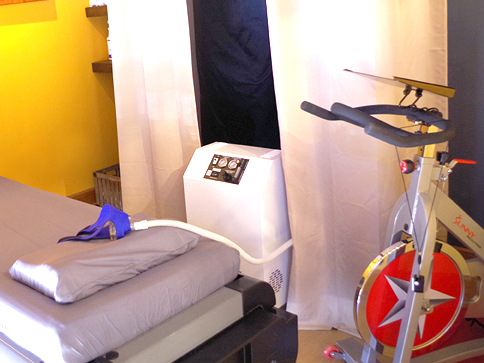 Oxygen Multistep Therapy involves breathing higher levels of oxygen (90%) while exercising on a stationary "spin" bike. This treatment is combined with supplements that increase blood flow and cellular metabolism and to maximize oxygenation uptake. And unlike many similar oxygen therapies, our system is designed to give you a high-volume flow of oxygen through a sealed mask. 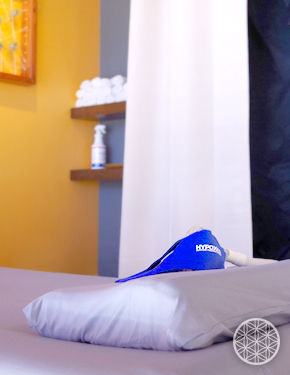 This prevents you from breathing ambient air from the room during your treatment, and ensures maximum benefit. A single session of Oxygen Multistep Therapy lasts about 20-25 minutes depending on your fitness levels and goals. Many everyday stressors can decrease your blood's "plasma oxygen levels" and can cause poor circulation in various parts of the body. The oxygen in your blood resides in two places... attached to your red blood cells, and dissolved into the fluid portion of your blood (the plasma). Dr. von Ardenne's research institute did extensive studies on plasma oxygenation, and how it reacts to different stressors. Here are some charts below showing the effects of specific stressors, and their effects on plasma oxygenation. Dr. von Ardenne found that lowered plasma oxygen levels caused capillaries (small blood vessels) to narrow. This restriction of blood flow contributes to a wide variety of diseases and accelerates aging in general. Whether you are fighting cancer, chronic illness, or just want to perform at your best, optimizing your plasma oxygen levels and restoring proper blood circulation is a fundamental step. People who want to increase their athletic performance, will undergo O2MT in a different way. Rather than breathing only oxygen rich air, we cycle between low oxygen and high oxygen air throughout your 15 minutes session on our exercise bike. This "altitude contrast" training combines the best of both worlds: the physiological stimulation of high altitude training, with the metabolic benefits of Oxygen Multistep Therapy. The program itself can be conducted in a few different ways depending on your goals. So whether you are looking to accelerate your endurance gains and VO2 max, or want to reduce the soreness of "season fatigue," we can create a plan to suit your needs. The relationship of poor oxygenation to cancer growth has been studied for decades. Yet, with today's resurgence of metabolic research in relation to cancer, the oxygen-cancer connection is making its way back into the news [3,4,5]. Modern studies are again showing that poor oxygenation in tumor tissues decreases patients' chances of survival with conventional therapies [6-11]. It can also increase the chances of tumor recurrence [12,13] and metastasis . Researchers have also shown oxygen therapy to increase the effects of both radiation therapy , and other natural anti-cancer approaches [16,17]. It has also shown to prevent and treat long term damage caused by radiation therapy . 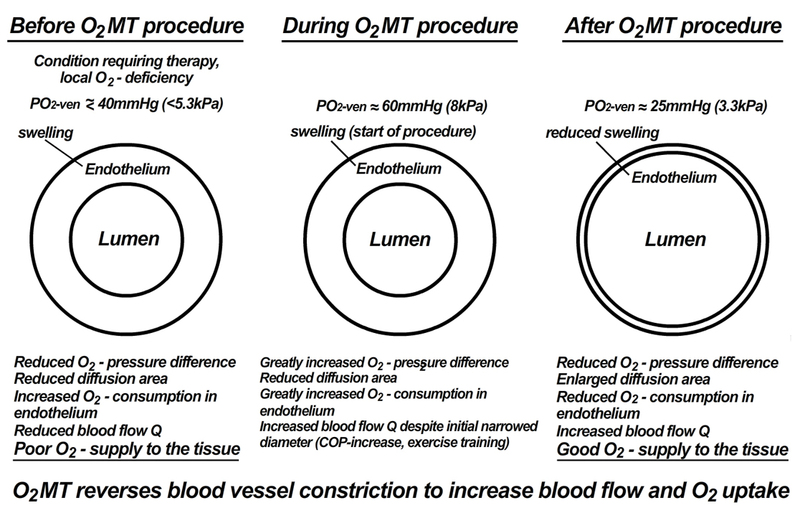 Oxygen Multistep Therapy is also important to maintain your plasma oxygen levels after surgery, chemotherapy, and radiation therapy as these therapies can all decrease your plasma oxygen levels  (see charts below). With powerful tools like O2 Multistep Therapy, we can design a complementary cancer care protocol to support you every step of the way. Examples of the lowering of the arterial resting PO2 by stressful processes of infectious, toxic, and quasitoxic kind. 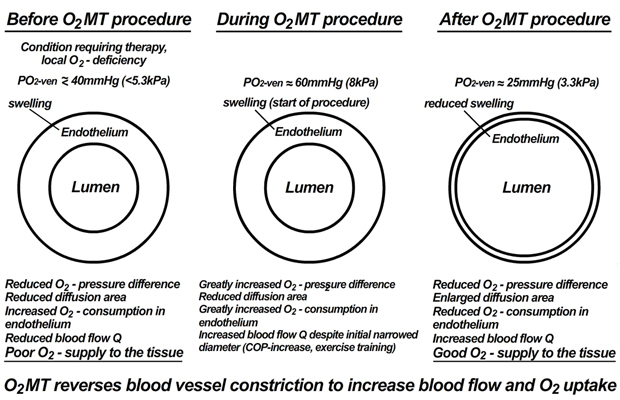 Note to cancer patients: While anti-angiogenic (blood vessel blocking) therapies (natural or pharmaceutical) can be very beneficial, “restoring proper blood flow” with O2MT does not mean that it will increase blood vessel growth and promote tumor growth. Quite the opposite is true. Healthy angiogenesis (blood vessel growth) itself is fundamental to life. But angiogenesis in cancer growth is deranged  and can be thought of as “pathological angiogenesis” (disease state induced blood vessel growth). Researchers have shown that low oxygen (hypoxia) can stimulate this deranged tumor blood vessel growth through proteins called “hypoxia-inducible factor” (HIF) [21,22,23]. Rather than just blocking this (diseased) blood vessel promoting mechanism, Oxygen Multistep Therapy works to remove one of the underlying factors (local oxygen deficiency) that stimulates this deranged blood vessel growth. In fact, though it was contrary to their previous beliefs in blocking tumor blood vessel growth, researchers at Oxford University found benefits with a similar approach of promoting oxygenation and blood flow to tumors before conventional therapies . Researchers at University of Rochester found the same effect . Yet, this is something that Dr. von Ardenne and other (especially German) researchers had studied for decades. Overall, oxygen therapy approached in a specific way, combined with a wide range of complementary anti-cancer approaches, can be a very powerful complement to conventional cancer treatments. What is "Accelerated Multistep Therapy"? At the Center For Acupuncture and Integrative Medicine, we also combine Multistep Oxygen Therapy with Whole Body Periodic Acceleration (WPA) Therapy, something that we call "Accelerated Multistep Therapy." WPA Therapy involves a device called the “Exer-Rest” bed, which rocks the patient gently back and forth to increase blood flow. 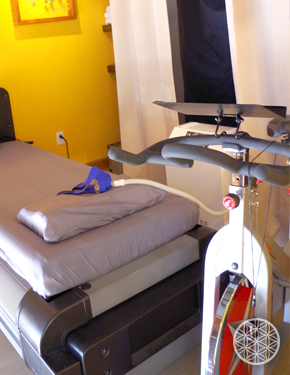 You can think of it as a form of “passive exercise” that we combine with Multistep Oxygen Therapy. This combination was designed especially for those who are undergoing conventional therapies for cancers in certain areas of the body. While exercise increases blood flow to the muscles, lungs, and heart, it can actually decrease blood flow to internal organs like the kidneys, stomach, small intestine, and spleen. Because cancers can often be present in these area, we have some patients undergo Oxygen Multistep Therapy using Whole Body Periodic Acceleration Therapy, instead of exercising on a bike. WPA has shown to increase blood flow to the brain (+180%), liver (+86%), stomach, small intestine, and kidneys (+53-72%). So depending upon the location of your tumor, we can determine which form of Oxygen Multistep Therapy will best fit your case. During his research in the 1960's, Dr.von Ardenne found something that is more relevant now than ever before. Though physical inactivity was found to decrease patients' blood plasma oxygen levels, physical inactivity combined with stress caused even greater drops. Why is this so relevant today? Because many of us are "knowledge workers" who spend long stressful hours working on the computer. Our brains work extra hard, our bodies tend to be motionless for many hours, and our breathing tends to be shallow and erratic. This can be highly disturbing to our plasma oxygen levels and blood circulation. People who exercise intensely right before working on a computer can be at even greater risk, because of the "metabolic debt" incurred through intense physical exertion. If you are a "knowledge worker" who suffers from any of these symptoms below, O2 Multistep Therapy should definitely be considered. While Hyperbaric Oxygen Therapy and Oxygen Multistep Therapy provide similar benefits, Hyperbaric Oxygen Therapy uses pressure to push oxygen into your body. O2 Multistep Therapy on the other hand, uses physical exertion (and supplementation) to pulloxygen into your body with it's own natural mechanisms. Both therapies are very beneficial, but Hyperbaric Oxygen is best reserved for those who are severely disabled and/or cannot endure physical exertion. High quality Hyperbaric Oxygen treatments are more time consuming, and much more costly for both the patient and provider. 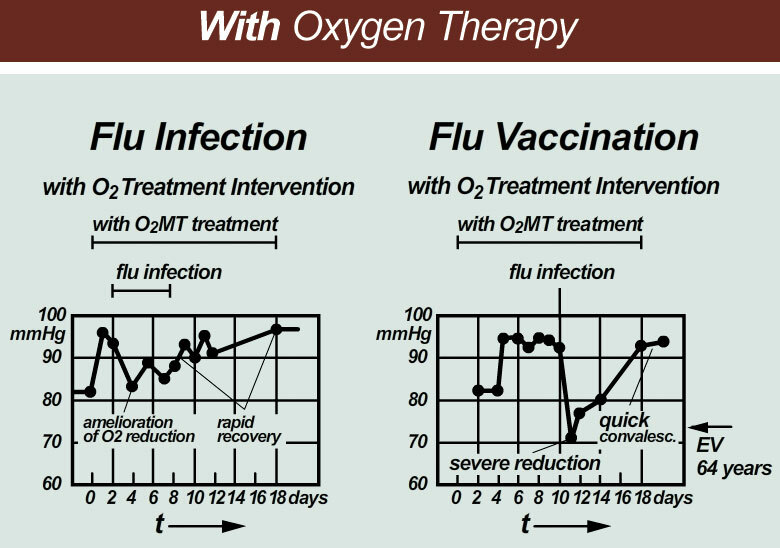 O2 Multistep Therapy is just as effective, more practical, quicker, and much more cost effective. 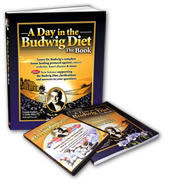 Gene Wei is a board certified Doctor of Oriental Medicine and the author of "A Day in the Budwig Diet", a leading reference explaining the anti-cancer diet created by renowed German scientist Dr. Johanna Budwig. 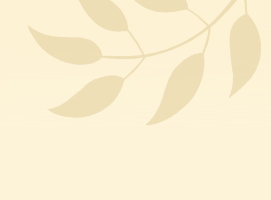 The material contained in this website is meant for informational purposes only. It is not meant to self-diagnose, treat, nor be medical advice for your condition. 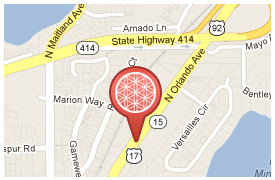 Serving Maitland, Fern Park, Winter Park, Altamonte Springs, Orlando and Longwood. © Center for Acupuncture and Integrative Medicine. All rights reserved.